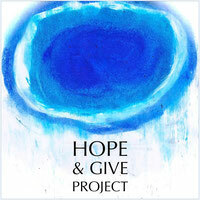 lottery 40, by full moon over Naxos - hopeandgives Webseite! By full moon over Naxos we had lottery no. 40 with two of our sponsors, Roselore and Volker Hentig (thank you for your generous donation) and Sabine and Hubert from Germany. We had 13 applicants in the hat and the winner is Thuan Nguyen from Vietnam. "I hope humanity will always be stronger than hate. " We will send a few questions to Thuan. and another one, which will be Peter´s comment to his hope, so to say. The first painting is for Thuan himself to keep and the second painting will be given away by him to someone he wants to communicate with about their hopes. and the next lottery will take place next week. Please be so kind to spread the word about this project and invite as many people as possible to participate. Helpful info. Fortunate me I discovered your site by chance, and I am shocked why this coincidence did not took place earlier! I bookmarked it. Yes! Finally someone writes about %keyword1%. Hello, I think your blog might be having browser compatibility issues. When I look at your website in Ie, it looks fine but when opening in Internet Explorer, it has some overlapping. I just wanted to give you a quick heads up! Other then that, terrific blog!